Hello and welcome back to the Hot List. This week we will turn our attention to videogames, previewing for you our loyal readers the most exciting videogames set for release in 2016. In 2015 PC was king. Between Steam Machines, a burgeoning indie scene, and crowdfunded games including Kerbal Space Program and the still in development Star Citizen (which has now raised over $100 million in donations), this was the year where PC fought back against the presumption that consoles are the inevitable home of gaming. At the same time, 2015 saw some huge releases including the long awaited Fallout 4, Xenoblade Chronicles X, Just Cause 3 among several others. For the year ahead the theme is "you ain't seen nothing yet". Let's preface the 2016 preview by acknowledging that many of this year's entries were on our list this time last year. Chalk this up to one of optimistic forecasting, the increasingly long development time in gaming, or the hype of such exciting sounding games, but these are all now set for release in 2016. If 2015 managed to be a good year for gaming despite many of its key titles slipping to 2016, then this year might just be even better. We begin with a remnant from last year's list, Bethesda's reboot of the venerated Doom series. 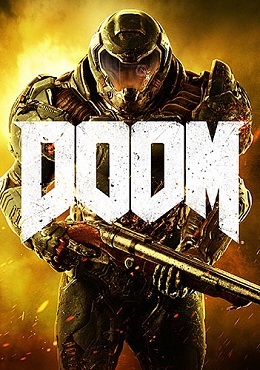 Doom is of course one of the most famous videogames series of all time, known as the grandfather of the entire first person shooter genre, and in many ways, 3D perspective gaming as a whole. Revealed in full at last year's E3 conference, Bethesda have slowly been showing off more and more footage, and sure enough Doom will run on the new idTech6 engine, and feature many of the somewhat old fashioned gameplay features that were characteristic of the original games. Our concern is whether the attributes that made Doom so successful back in the early 1990s are still relevant in today's much changed gaming culture. Back then, gamers were mostly kids and teenagers, the perfect demographic for Doom's gratuitous violence and tastelessness, but if Duke Nukem Forever showed us anything it's that these kinds of thrills haven't aged well. Paradox are on a roll right now. For years they have labored away on their absurdly complex historical strategy games like Crusader Kings and Europa Universalis, and for years they've been largely ignored. With Crusader Kings 2 Paradox finally struck the commercial big time with a golden blend of rewarding depth and accessible gameplay, and Europa Universalis IV followed suit. 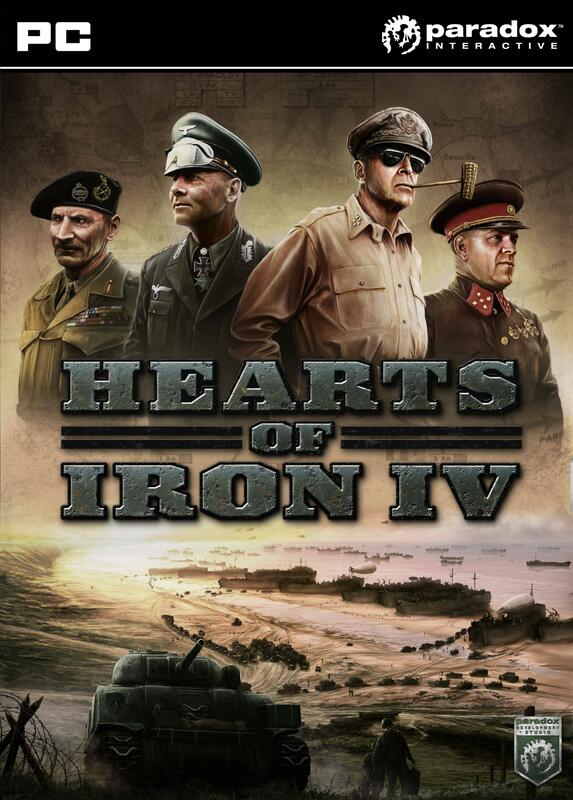 Their next release aims to conjure up the same magic for another one of their franchises, with Hearts of Iron IV. For newcomers, Paradox specialise in sandbox style grand strategy games. What makes a Paradox title stand out from say Civilisation or Total War is the dedication to meaningful complexity. These simulations are about more than just armies fighting one another, and fully model diplomacy, personal politics, culture, economy, and countless other variables which ensure that each game world is utterly unique to the player, and completely engrossing, while allowing a staggering array of gameplay options to pursue. The Hearts of Iron series specifically applies this ethos to a 20th Century, World War I and II setting. If Paradox can make Hearts of Iron as accessible as they have their other series, then this will be another golden strategy title for players to sink their teeth and time into. Release date has not been confirmed but is believed to be late in the second quarter of this year. One of the more notable Kickstarter success stories. Kingdom Come: Deliverance started with a simple premise. Publishers refuse to release games set in medieval times unless it features magic, dragons and silly things like this, why not make a game in a realistic medieval setting? That's the idea behind Kingdom Come: Deliverance. A roleplaying game set in 15th Century Bohemia, with period-accurate clothing, technology, culture, and even going so far as to bring in medieval experts and historians to program realistic tactics and fighting styles. But this is not just a period combat simulator, it is a truly sandbox world in which players can pursue their goals as a warrior, a trader, or take a more diplomatic approach. Depending on how these different gameplay elements come together this could be a very unique experience. There aren't enough games that display an interest in real history and show the kind of attention to truly bring alive such a setting. All the signs so far are that Warhorse Studios are very committed to this vision, and judging by the millions of dollars raised there are a lot of gamers who are too. The title is set for release by this autumn. The return of another much celebrated franchise. RollerCoaster Tycoon World is the latest entry of one of the biggest cult hit series in the entire industry. As with the other games in the series, players design and manage a theme park, with the ability to place shops, rides, scenery and most notably design roller coasters down to the very small details. The game will be from a 3D perspective much like RollerCoaster Tycoon 3, as opposed to the 2D isometric view of the first two games, while new features include the ability to ride your rides from a first person perspective. Atari have somewhat dug a hole for themselves on this one, with the now infamous mobile-only version of the game, titled as RollerCoaster Tycoon 4 being announced before the full PC version. This much maligned turd of a game was rammed full of absurd microtransactions, becoming pretty much a parody of the worst examples of the cliche of manipulative mobile games that are such a blight on the platform. 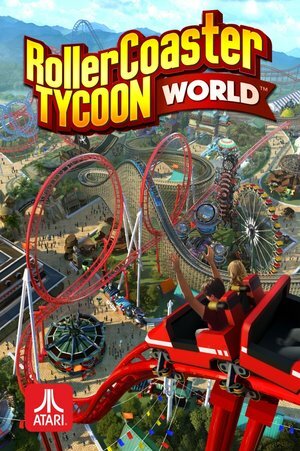 Such was the outcry and critical panning of this title that Atari had to announce the full PC version ahead of schedule and rebrand it as RollerCoaster Tycoon World in order to avoid association with the previous debacle. Things only went from bad to worse, as the reveal of early footage was met with decidedly mixed reception, prompting a series of behind the scenes changes that sees this game now on its fourth developer. From what we've seen more recently though, the new blood does seem to be turning things around. We shall have to wait and see. 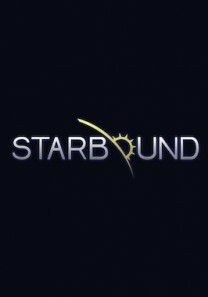 A veteran of Hot Lists gone by, Chucklefish Games' hugely ambitious crowdfunded indie title Starbound has been kicking around since 2014 with no sign of a release, but recent updates seem to confirm that a 2016 release is (hopefully) on the cards, with recent official blog posts hinting at an imminent version 1.0. Starbound is essentially a block-building game in the mold of Minecraft or Terraria, featuring a procedurally generated universe with a near infinite number of planets, each of which is the size of Terraria's entire world. Each planet has its own environment and it's own procedurally generated plant and animal life, making each one completely unique. Players explore these planets, mine for materials, and can build whatever they can imagine. Starbound additionally adds structure and narrative that we typically haven't seen from other games in the genre. There's a quest system, a colonization system, and a fully crafted backstory. Every planet is full of secrets to discover and NPC characters to meet. The scale of universe that this design creates is unparalleled in gaming, and allows players to play in pretty much any manner they choose. A player can assemble a team (either singleplayer with NPCs or multiplayer) and explore the universe hopping from planet to planet, or build huge houses, military bases, farms, shops, cities, theme parks, anything they can imagine (and the creativity seen in the work the community has produced so far during the alpha testing is remarkable), the possibilities are limited only by the player's imagination. This is something no game has ever fully achieved, and if Starbound manages to pull it of, the result will be something very memorable indeed. Starbound is available in it's alpha state on PC and Mac, but the full version is expected by the end of this year. Now here's a big event in gaming. The highly anticipated and mystifyingly delayed return of the Star Fox franchise. Even though Nintendo consider Star Fox to be one of their most prominent homegrown IPs, it has been bizarrely under-utilised. Indeed aside from a few handheld games, there hasn't been a proper Star Fox game since 2005, and even then it wasn't a fully fledged, in-house version. Incredibly, Nintendo themselves haven't made a real flagship Star Fox game since the days of the Nintendo 64. 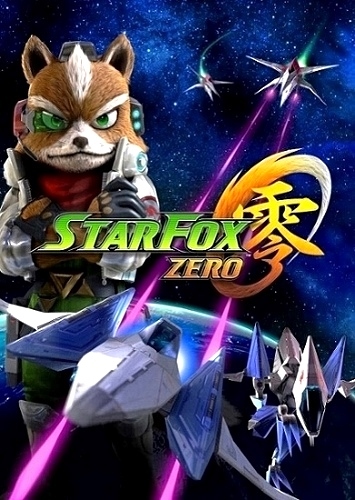 According to franchise (and indeed most other Nintendo franchise) creator Shigeru Miyamoto, the reason has been difficulty to nail down the best way to take advantage of the unique Wii hardware in the context of a Star Fox game. But now, with the Wii U's unique gamepad, inspiration has finally struck, and a new Star Fox game is on the way sometime this year. 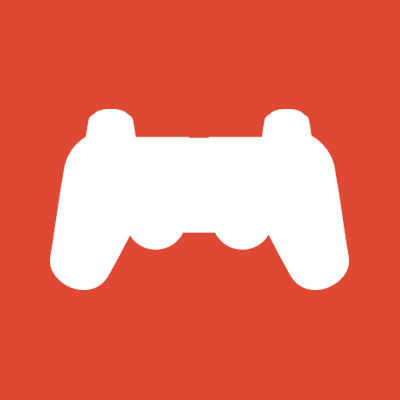 As with the classic entries in the series the game will be focused on aerial combat, using the new gamepad's gyroscopic controls and second-screen functionality to shake up the way players target enemies. Additional gameplay will include other vehicles including the Landmaster tank, and a two-legged walker robot. The key addition here appears to be the use of the gamepad as a second screen, but it comes at a cost, with the game's graphics severely limited by the necessity to render fully on two displays at once. Indeed early footage has been met with a glut of criticism over its very basic appearance, low resolution textures, and sharp corners. We will have to see if the design choice was worth it. It's a good time to be a Bethesda shareholder, with Fallout 4 last year, and Doom already on the books for this year. But the more exciting of their expected titles this year is Dishonored 2, the sequel to 2012's surprise smash hit. On its surface Dishonored may have looked like your standard stealth/action game, but between its spectacularly intricate open level design, and the admirably immersive world-building, the end product was something much more special. The sequel looks to be more of the same, with new locations, and a new character to bolster the strong core gameplay. If they can build on the foundations of what they have created then this could be one of the top releases of 2016. The mother of all crowdfunding success stories, Star Citizen has so far rasied over $100 million, and that amount is growing steadily every day. What makes this all the more remarkable is that people are throwing their money at Cloud Imperium Games despite the fact that only a few conceptual game-modes have been made available so far. So why all the excitement and hype? Star Citizen is the brainchild of Chris Roberts, a game design legend from the early days of PC gaming most famous for his space-based combat simulations such as Wing Commander and Freelancer. Star Citizen is Roberts' big comeback to gaming following years in Hollywood with a number of producer credits to his name. Unapologetically PC exclusive, Star Citizen's mission statement is simple: to be the ultimate space epic, the game that Roberts has always wanted to make. It takes Roberts' trademark quality combat simulation gaming, adds detailed economy and trading elements, and throws it all into one massively multiplayer online persistent universe. A massive online universe populated with thousands of players, in which players can essentially do what they want: they can trade or start a business, they can be a combat pilot, they can become a diplomat, or they can engage in a bit of in-game sports (racing for example). The sheer variety of gameplay being thrown into this game is matched by the vast efforts that are going into creating a believable, fully fleshed out universe. The official website now is chock-full of literature and back-story for the world they are creating, and even if reading into all that depth is not your kind of thing, that kind of love and detail makes a game world truly engaging, even for the most casual of players. It's this kind of effort that turns a good game into a great game. Can an independent developer really deliver on such high ambition? So far the signs are good. The modules that have been rolled out so far show promise, and with the single player campaign set to begin this year, with the online persistent universe soon to follow, we are excited. Amid all the talk of Nintendo consoles and the big money franchises of Mario and Zelda, it may come as a surprise to hear that arguably the greatest game on the Nintendo 3DS system comes from the little known Fire Emblem franchise. Indeed the franchise, while always moderately successful in Japan, had fared so badly with western audiences that Nintendo were on the verge of telling the development team to give up and put the franchise on the scrap heap. 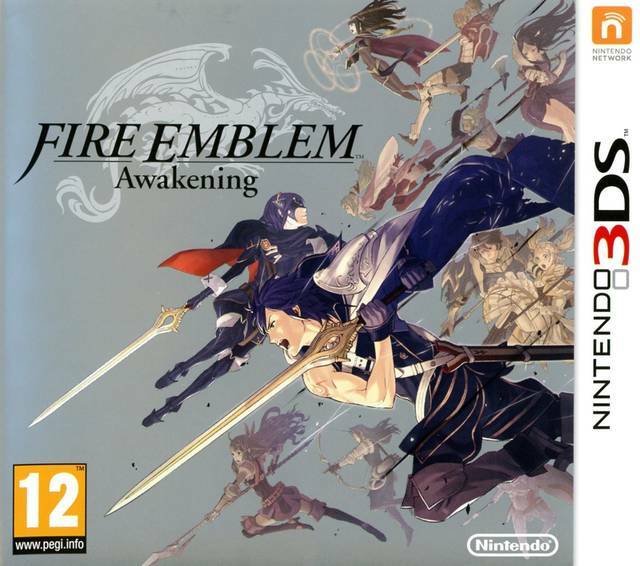 With one chance remaining, Fire Emblem Awakening blew away every expectation that Nintendo had, earning critical and commercial success in every territory, with sales outstripping those of any earlier iteration by many orders of magnitude. Awakening not only saved the franchise, but propelled it to the status of one of Nintendo's biggest properties. Now comes the difficult follow up, Fire Emblem Fates. For the first time the series carries a weight of expectation. Was Awakening just lightning in a bottle, or will those new fans stick around? The game is due for release on the 3DS this fall, so we shall soon find out. 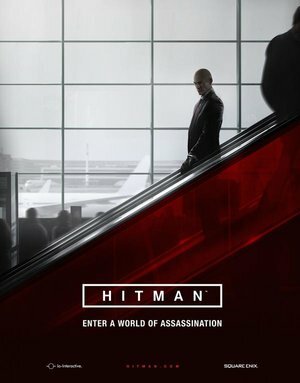 This may shock some people, but The Ephemeric has never owned a Hitman game. The premise is intriguing enough, but the technology has never been quite good enough to create a truly compelling, unpredictable setting for such a game. That seems to be about to change. The idea behind the Hitman series is simple. You are a hitman, you get contracts to kill various unsavoury characters, and how you go about doing it is largely left up to you. 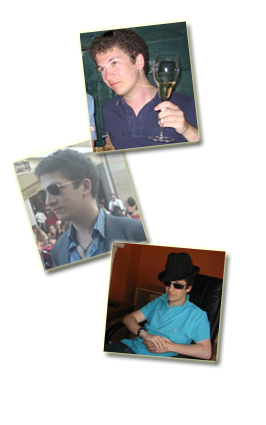 You can use disguises, various weapons, and can manipulate others to assist you in various ways. This newest iteration takes the concept to a whole new peak. These levels are so expansive, so full of activity and potential strategies that they really need to be seen to be believed. Add to this a new, open-ended approach to game structure, with procedurally generated missions set among the same open settings, and this could have some serious longevity. We await with interest. Nintendo have got a lot in the pipeline this year, but by far the most hyped of their mega-franchises has got to be The Legend of Zelda, and a new one, the first original entry to the series on the Wii U, is set for release in 2016. Little is known about the game so far, except that it will be the first original Zelda to be designed in HD, and that it will take heavy inspiration from The Elder Scrolls: Skyrim, specifically with regards to adopting a grand, open, freely explorable sandbox overworld. The new Zelda is being designed with the idea to allow players real freedom in how they explore and complete quests. Just how that translates into the Zelda format is anyone's guess at the moment, but Nintendo's demo footage makes a point of showing us a vast, rolling mountainscape and telling us that any point we can see, we can visit. Zelda is truly one of the grandest of classic games franchises, and if they can combine the magic of older games with the technical marvels of open-world games like Skyrim, then the result could be something special. No release date set in stone, except that it will be in 2016. 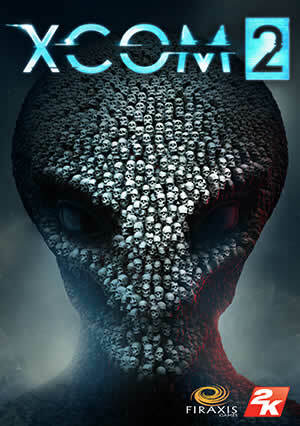 The Firaxis reboot of the XCOM franchise back in 2012 was something of a triumph; a modernising of the classic formula that kept things streamlined, but still deep enough to make for one of the most addictive strategy games of the past several years. Now the inevitable sequel, the imaginatively named XCOM 2 is here, and it looks pretty good. Set 20 years after the last game, XCOM 2 takes the somewhat original approach of assuming you lost the last time out. So whatever ending you got by winning the game never happened, and aliens now rule the world. It actually makes for a pretty interesting setting, with the XCOM project now playing the role of resistance movement in a world under enemy control. This completely turns the dynamic of XCOM on its head, with you now the scary monster creeping through the dark to sneak up on them for a change. Other additions include procedurally generated maps, and more dynamic events throughout the campaign, which could make this even better than its predecessor. It's been a while since the Final Fantasy franchise gave us a reason to be excited. Final Fantasy X was pretty good, but that was fifteen years ago. Since then we've had two MMORPGs, and two fairly mediocre main-series games, one of which was so bad that Square-Enix went and made 3 sequels (in a series with practically no direct sequels) just to prove everyone wrong. Final Fantasy XV looks like it might single handedly turn the franchise around. Originally starting life as Final Fantasy XIII Versus, this has been in development for many years now, quite extraordinary as far as game development goes. But from what we've seen so far, it looks like it was time well spent. Visually the game looks as stunning as one would expect from Final Fantasy, but it's everything else, from the new, more realistic aesthetic to the vast open-ended world full of spectacle and life. The characters have a decidedly more relatable, human tone behind them, and the writing looks to be as compelling as it's been in years. This looks like it is going to get everything right that the last few entries in the series have been getting hopelessly wrong, and craft a setting and story that people will actually care about. We love the Mass Effect series. Mass Effect: Andromeda is the latest entry in the series, and as the name suggests, it's a complete break from the preceding trilogy. This of course means that Shepard is gone, as are all the characters you know and love. More than that though, it seems the galaxy and locations you know and love are gone too, and Andromeda sees you travel to a whole new galaxy. Quite why that was necessary when game lore tells us that the Milky Way is 98% unexplored in Mass Effect is besides the point, surely not as a convenient way to avoid having to deal with the array of different endings one could have chosen for the original trilogy? But lets not quibble over poor writing. A new galaxy means a focus on exploration, hence the whole "western" frontier style in the trailer above. Beyond this not a whole lot is known. It's speculated that you've arrived through a wormhole, an expedition intended to chart and colonise unknown space. It can be presumed that your ship is staffed by a menagerie of well-written characters with daddy issues. All sounds good, though we hope this isn't the last we've seen of the Milky Way we know and love. But amid all these AAA releases with big name franchises and $100 million budgets, our most highly anticipated game of 2016 is the somewhat less prominent Stellaris. Stellaris is another Paradox title (see Hearts of Iron IV above). 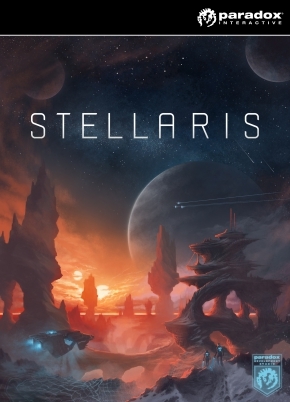 Stellaris is their first foray into the science fiction genre, ostensibly a mix between the 4x genre of games like Master of Orion and Galactic Civilizations, and the grand strategy genre of which Paradox are the undisputed masters. It is undoubtedly exciting news that such strong designers are stepping into a genre that arguably has never bettered 1996's Master of Orion 2, but no one could have expected just how spot on they would get it. Procedurally generated species, dynamic events, and extensive customization and modding point to the technical excellence on offer here, but it's the extra detail that shows the real love and attention that's being poured into this game. Star systems rendered right down to the moon and dwarf planet level, societies consisting of complex ideological factions that evolve over time, a spectrum of species from primitive to spacefaring, and even ancient fallen empires. Exploration, federations, individual science, political and military leaders whose skills and personalities will determine the path your empire follows. In an genre of astoundingly ambitious intergalactic scale, Paradox really seem to have thought of every possible detail, in every aspect of both immersive world-building and compelling gameplay. This could well be the best Paradox game yet, and the absolutely definitive space game. So there you have it folks: 2016 in videogames. Tune in next week for the essential theatrical productions set for release this year!